It’s common for tourists to worry about the condition, quality and available health care facilities when traveling to other countries, and it’s quite normal to worry about your health in Luang Prabang if you’re planning to visit the city. If you’re healthy, there’s no need to be anxious as basic facilities and competent doctors are available in the city. If you have an existing serious illness, a little information on what kind of medical care awaits you there is essential. Unfortunately, the best hospital in town cannot even rival the mediocre hospitals in Europe or in US. The best hospital in Luang Prabang is the Chinese Hospital. 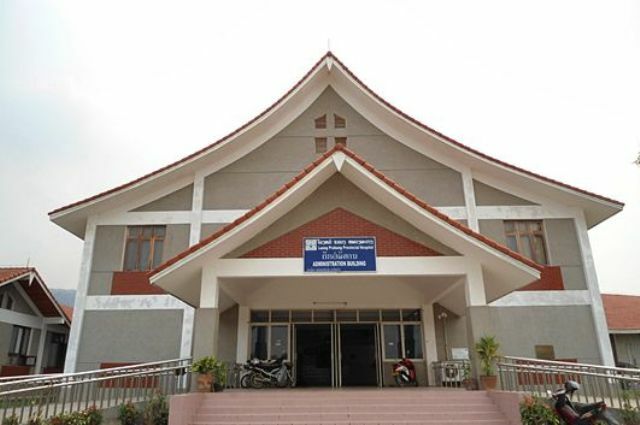 Built and donated by Chinese to Laos in 2003, it is also known as the Lao-China Friendship Hospital and Luang Prabang Provincial Hospital. The Chinese Hospital has vital services and emergency facilities. There are also competent doctors who can speak English and nurses and staff who speak a little English. However, there are only few pieces of technologically advanced medical equipment. The premises of the hospital are also clean but the building itself is not and some of the room walls are in need of repainting. If you are more concerned about receiving emergency medical attention during medical crises, however, you will find that the doctors are very capable and can handle emergencies. If you need to be admitted and you care about the appearance and the outdated surroundings and facilities of the hospital, you can always opt to move to bigger hospitals in neighboring countries like Thailand, for example, or travel back to your home country as soon as your condition permits it. The Chinese Hospital is located roughly four kilometers south of Luang Prabang. It was officially completed in 2004 on a seven-hectare area. Its building is one of the most remarkable structures in the city and it has 150 beds. The hospital has four medical departments: the inpatient, outpatient, pediatrics and obstetrics. Their outpatient facilities has Internal Medicine, Surgery, Pediatrics, Obstetric and Gynecology, EENT and Dental clinics. For inpatient department, the hospital does not provide dietary services although they do have an in-house restaurant. Still, patients or the family of the patients have to buy their own food in the hospital or outside of the hospital in a small eatery. There are also no toiletries available in the toilets and towels are not provided. The showers in some of the rooms are also broken and you have to use a bucket and a dipper to bathe yourself. Most of the medical problems handled by the hospital include colds, lung problems, heart problems, intestinal problems as well as medical emergencies involving accidents. And for wounds and injuries that the hospital cannot handle, advice for transfer to major hospitals in the country’s capital Vientiane or to hospitals in Thailand is given by doctors and emergency transports are provided. Please note also that if you are concerned about your health in Luang Prabang while vacationing, watery eyes and breathing problems are common and you may also suffer from them during the months of March to June when the city is clouded with smokes from burning rice fields around the city. It’s best to avoid these months if you’re not in the best of health or if you already have existing respiratory problems. Above all, be diligent in taking care of yourself so that you may have a thoroughly enjoyable vacation. After all, you’re supposed to be enjoying your vacation, right?